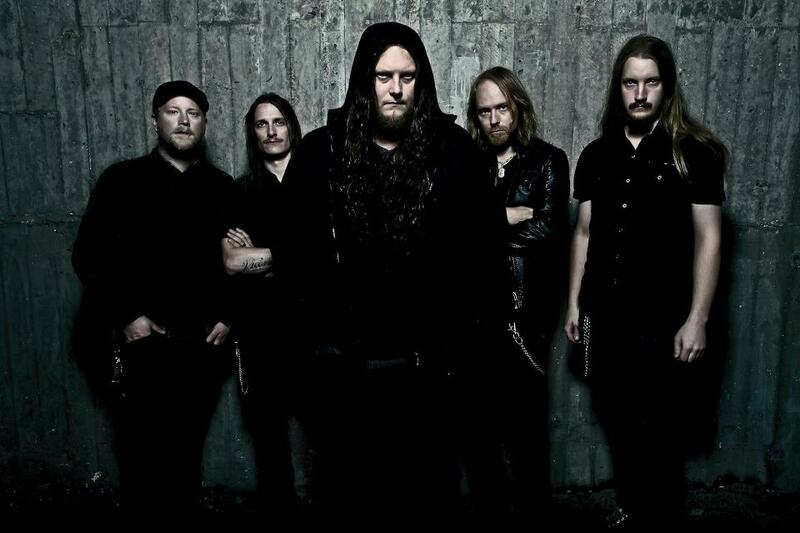 Katatonia are fast becoming a cornerstone around these here parts. Despite the fact that the band are pretty much completely clean singing, we’ve still covered them quite a bit. Aside from the fact that we here at No Clean Singing have excellent music taste, I am also a massive fan of the group, coming into the fold during a time just prior to the release of The Great Cold Distance and riding that wave of darkness ever since. 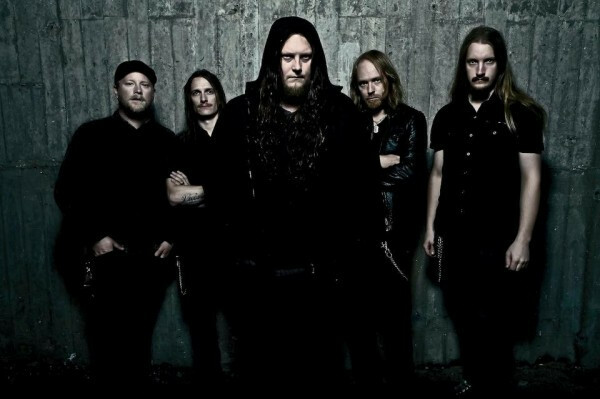 Katatonia are even reaching the point when they aren’t just a really great underground band, a trsnaformation that has been excellent to watch as more and more people discover just how good their music is. When you’re receiving shout-outs in main quest lines on million-selling video games, your profile tends to increase pretty dramatically. It was a little hard to speculate about where the band would go with the impending release of their latest disc, Dead End Kings, as they began slowly to release songs to the public. Were they going to try to return to the fuller, more band-oriented sound of their earlier works or were they going to continue with the sparse, cold, and vocally driven music that they revealed on Night Is The New Day? The song “Dead Letters” hinted at some really strong potential, but coming into the full album without having followed every step the band have taken, I have found Dead End Kings to be a pleasant surprise. It’s an excellent combination of everything I’ve heard from the band before, with the quality cranked up as high as the band could make it, and nary a stinker on the whole disc. “The Parting” is the opener and it immediately signals that this release is going to be a fuller album than the one preceding it. If you missed how they sounded on Great Cold Distance, then you need to jump on this disc now. It has such a great opening that really does give a good sense of everything the band plan to do on Dead End Kings. Jonas belts out the chorus during this song and sustains some hefty notes over a double bass roll. A couple of songs follow this format and are a little bit more rock-heavy. You’ll hear similar shades of this way later on in Dead End Kings, in the songs “Buildings” and “Lethean”. “The One You Are Looking For” features backing vocals from current The Gathering singer (since ’09, if you haven’t followed the band) Silje Wergeland, and she complements Jonas well. The song is a Katatonia-style dirge complemented by a hummed backing vocal. Everything on Dead End Kings comes with a hefty dose of melancholic atmosphere, which sometimes is a little overwhelming, but you know what you’re in for by the beginning of the first song once you hear the lines, “And hear me sing to you / How I’ve set out to kill myself”. There’s an excellent standout song in “The Racing Heart”, which contains some of the most frail-sounding lyrics on the album. It will probably be the one to which all fans attach themselves, because the song is so easy to grasp. The line “And tomorrow who will come, and put their hand over mine?” will probably speak to just about anyone who has ever been alone for a long time. The song itself rocks really hard, but the lyrics are incredibly powerful. A quick mention about the bonus songs that have been made available for this disc: It may seem a bit weird talking about them like this, but Katatonia have an odd streak of making really good songs the bonus tracks to their albums. Great Cold Distance had a couple, but the real highlight was “Unfurl”, which is arguably one of the best songs on that disc. Night Is The New Day had “Sold Heart”, and if you don’t have the European version, “Ashen”. This does feel like saying that they should just include these songs on the regular album more than anything, because everything they’ve done is of such a high quality. 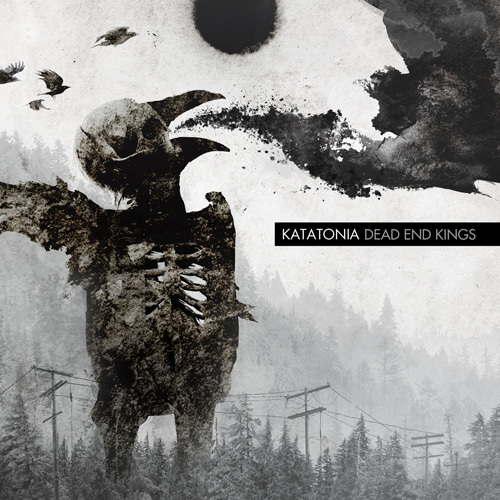 Dead End Kings has two songs available as part of its special edition, one that is pretty goddamn good Katatonia and the other that is a fairly experimental song for the band. “Second” is the more familiar Katatonia track. It begins really slowly and ends slightly less slow, but in that build-up the band are able to create an amazing atmosphere with an incredibly powerful chorus. The vocal lines may not be perfect and have a tendency to trail off, but things are immediately rescued when the band comes back with “Letting one, second go on….”. “The Act Of Darkening” is the other bonus track and it’s an odd experiment that half works. It’s the band at its most bare, consisting of acoustic guitar and absolutely no effects whatsoever. It’s a tour de force that Jonas can actually really sing well, even without the vocal doubling and incredibly clean production. It’s probably the true definition of a bonus track if you’re really interested in hearing the band try something different, and it’s a pretty good cherry on top of a good batch of songs otherwise. Dead End Kings still has Katatonia demonstrating some of their musical flair, outside of backing an admittedly excellent vocalist. Even instrumentally the band sound good here. They have an ability to create rhythms and riffs that snake around in ways that lend the band a strong progressive element that can be easily grasped by a casual listener. Songs that may sound like someone just chugging along on a guitar may be done in a strange time signature, or they may feature drummer Daniel Liljekvist adding some flair by doing some hefty cymbal work. He even gets back into the playing style that he used on the song “Journey Through Pressure”, which was a very cymbal-heavy song on The Great Cold Distance. Anders Nyström flexes his guitar playing quite a bit rhythmically. Obviously you won’t get much in the way of guitar leads or solos in Katatonia, but the depressing atmosphere that he builds with his playing complements the band well. I get the feeling that he along with the rest of the band were much more involved here than they were on Night Is The New Day, which is why there is so much of the band appearing on this disc, making it a louder affair than the quite introspective songs on the prior album. It’s easy to recommend Dead End Kings because it can appeal to so many listeners. It isn’t the heaviest thing on the planet by far, but good songwriting is able to transcend whether or not it is the usual crushingly heavy experience. Katatonia came up as part of a heavy as hell doom scene and have expertly transitioned into the difficult to define depression that they are uncannily able to dish out, album after album, without getting repetitive. At this point, Jonas Renske could probably be singing over an out of tune saxophone attempting to play free jazz and four guys armed with kazoos and it would probably still sound great. The fact that the band behind him are an excellent bunch of songwriters is the reason that Katatonia are as awesome as they are. The band are able to still attempt some new stuff on Dead End Kings whilst also playing music that is well within their comfort zone. That means an album like Dead End Kings is going to immediately place fans within the realm of the familiar, while still giving us something new to look forward to, so that it doesn’t feel like the band are retreading old ground. In short, Dead End Kings is able to combine the faster, heavier and more straightforward elements of an album like The Great Cold Distance with the more melancholic, sparse and introverted sound that they created on Night Is The New Day, crafting an album that really shows Katatonia are just masterful at the art of depressing the hell out of anyone who gives them a listen. 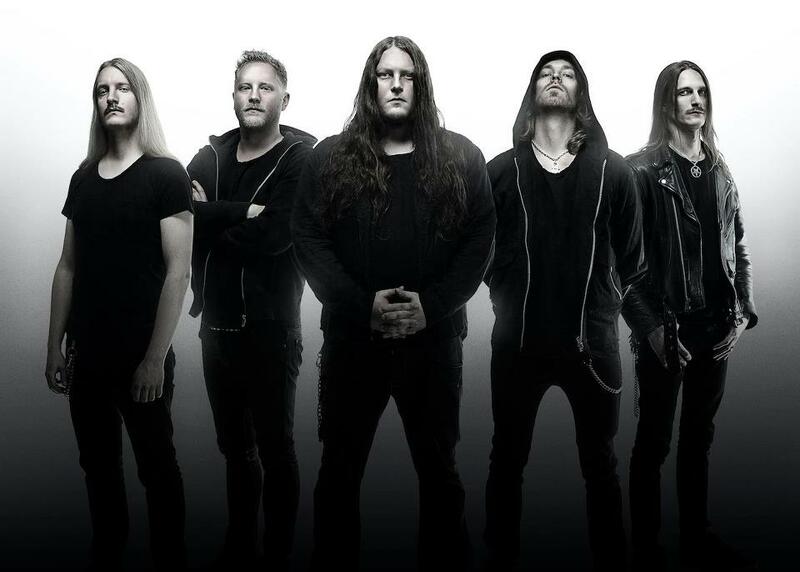 However, it wouldn’t be easy to heap all this praise upon a band if they weren’t well deserving of it, and in Katatonia’s case, still firing on all cylinders. Dead End Kings is an example of Katatonia at their best. EDITOR’S NOTE: Dead End Kings is out now on Peaceville Records. The entire album can still be streamed at this location. I was wondering if someone was going to do a more up to date review of this disc.